Sheer beauty for our Little Princess. 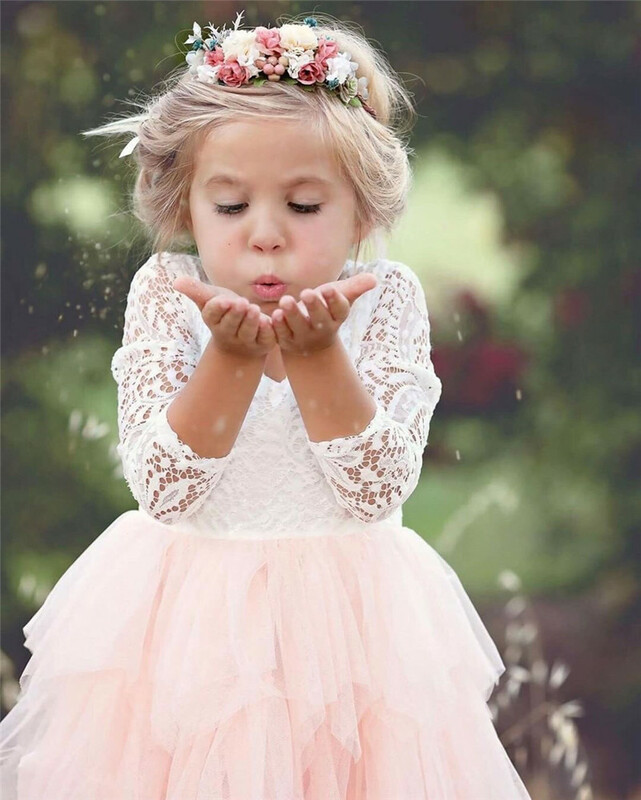 She will be the star ,this dress is laden with soft tulle.Full sleeves and a stylish lace design back.This dress has it all. Can also be a beautiful flower girl dress at favourite aunts wedding. This dress is very limited quantity ! If you can't find a size please let us know and we can try and order for you.